Note: The choice of the wrong lubricant or lack of lubricant are the most frequent causes of premature bearing failure! WÄLALIT high-performance lubricants have been specially developed for roller bearings and cover almost all areas of application. 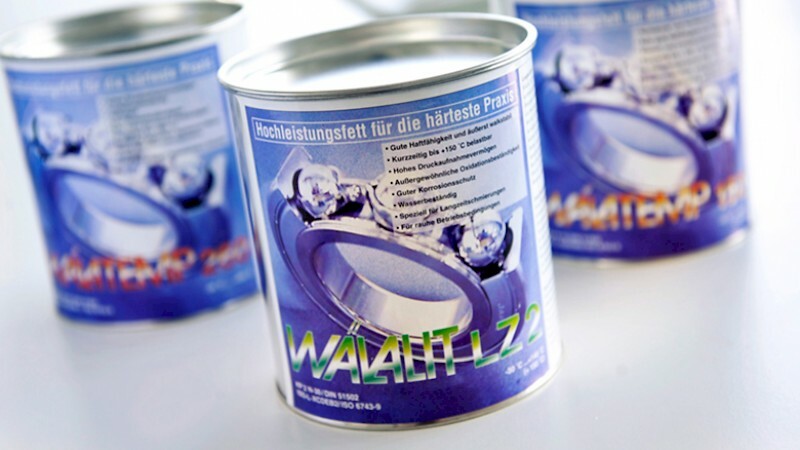 The name WÄLALIT thus stands for top performances, even in applications where standard greases fail. They have proven their reliability in an impressive way in practical tests carried out on FAG and SKF lubricant test stands. Thus the type and quantity of the lubricant used have an important impact on the service life of bearings and can even make them maintenance-free. Reduction of energy consumption, noise development and operating costs.